Former friends and supporters have looked on aghast at her lack of criticism of last year's military campaign against the Rohingya. Monday's conviction of two Reuters journalists, Wa Lone and Kyaw Soe Oo, and their seven-year sentence has sent a chill through Myanmar's already embattled press community. "Suu Kyi's response was filled with anger, referring to the journalists as 'traitors'," the former New Mexico governor told AFP. "In that heated exchange I wouldn't dismiss that the word was used," said retired Thai lawmaker and ambassador Kobsak Chutikul, who was secretary for the panel and who also later resigned. Since sweeping to power three years ago, Suu Kyi's relationship with the press has been fraught. 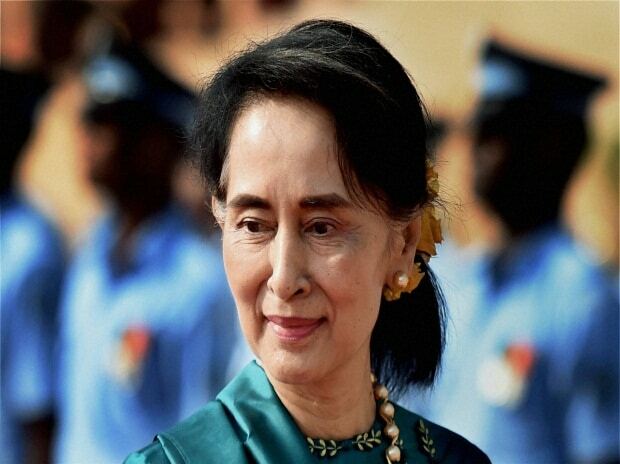 "To say that Aung San Suu Kyi's star has faded is a massive understatement," said Matthew Burgher from free speech advocacy group Article 19. Suu Kyi's defenders say her hands are tied by an army that still controls all security matters as well as 25 per cent of parliamentary seats. But some analysts note a transformation in Suu Kyi in recent months, from trying to avoid talking about them to supporting the military's kickback against "terrorists". Aaron Connelly, a Myanmar expert at Australia's Lowy Institute, said the notion that Suu Kyi is powerless to counter the military's excesses is a "myth" since she uses her political leverage on issues she deems worthy.